First time home buyers in Boston will undoubtedly be faced with many difficult and complex decisions on their road to purchasing a home. It can be hard enough deciding on whether to buy or rent in the first place, but once a person decides to buy, one of the biggest questions they’ll have to face is how they are going to come up with the money (assuming you don’t have $500,000 lying around in cold hard cash). 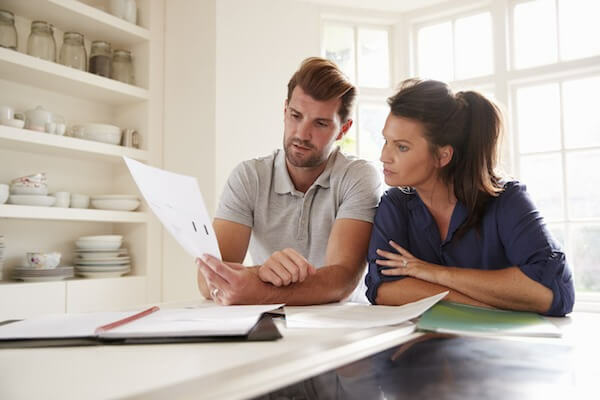 For first-time home buyers looking to finance their home, they have an option for securing financing via a government-insured FHA loan or a conventional loan. Buyers who have a sizable downpayment. There is a minimum of 5% of your own money down, though many lenders require 20% or more. Buyers who have good or excellent credit. Since the mortgage is not backed by the government and you are not required to carry mortgage insurance, the lender will require a strong credit score to better their odds for repayment. Conventional mortgages have fewer requirements and it may or may not give you the best interest rates over the life of your mortgage. This is largely dependent on your credit score and whether or not you have enough income to sustain the cost of the mortgage and living expenses. Some lenders will allow those with lower credit to obtain a conventional loan, though these are referred to as sub-prime mortgages and are heavily regulated as a result of the market crash in 2008. A lower down payment – The minimum requirement for a down payment is 3.5% on an FHA loan. You are also not required to have the money for your down payment: it can be gifted to you by a family member or friend. Better chances of loan approval, even with a less than perfect credit. FHA mortgages allow buyers with less than perfect credit access to much lower interest rates compared to conventional loans. There are a few drawbacks to an FHA loan. The first is, is that there are more guidelines and requirements that will need to be met and satisfied before being approved. This can not only make them more difficult to obtain but also can make the time frame of securing the loan longer. Additionally, you will be required to obtain private mortgage insurance, referred to as PMI. This insurance is required by law and ensures that the mortgage will be repaid by the insurance company if you were to default. You will not only have to receive approval for the FHA loan but also for the PMI which makes it a slightly more rigorous process than a conventional loan. Choosing the perfect mortgage option for your first home purchase will largely depend on your credit score as well as the amount of money you have saved to put down on your home and where the funds are coming from. Real estate prices in Boston don’t seem to be going down anytime soon which is not great news for aspiring home buyers. The good news is that there are now many options for home buying which allows more people to experience the dream of homeownership.